Unlike the Mediator 4000D, the Mediator 4000Di is designed to be used with desktop A4000's in their original case. It replaces the original Zorro bus daughterboard. 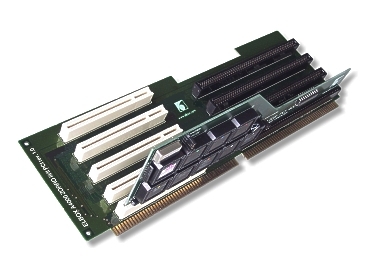 It actually comes in two sections, the first section being the actual busboard whilst the second part is the bridgeboard called the Mediator PCI 40000 which is designed to be plugged into both a Zorro III slot and a PCI slot effectively making them active.